It's hard to believe that Christmas is just a short time away. I find that students are motivated to write when it involves something theme based and Christmas provides a great opportunity for engaging those reluctant writers. 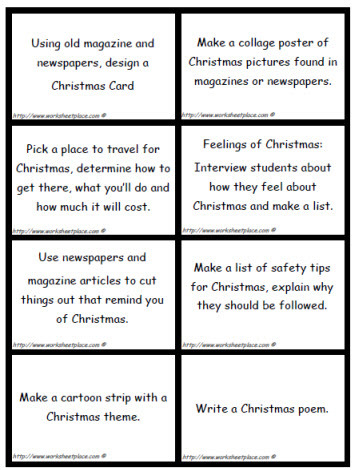 There are many ideas in the Christmas Worksheets, however, one of my favorite Christmas printables are the Christmas Task Cards. 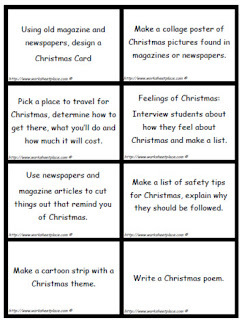 One of the reasons I like the Christmas Task Cards is because the tasks lead to differentiated teaching and the activities give students a choice. 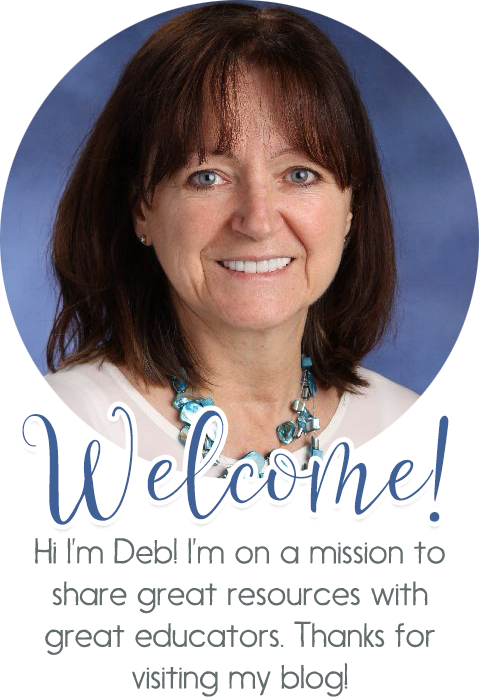 There are 8 tasks per card and the cards address creative writing, math and art. Print the cards on card stock or give students a copy of the cards and let them initial what they've done. The card to the left is merely a sample of one. Be sure to share with your fellow educators, after all, if we are in the business of helping all students learn. Procedural Writing: How to Decorate a Christmas Tree, How to Make Gingerbread, How Shop For Relatives, Convince Your Teacher to Have a School Dance or Party. Make it a great week educators, if there is something you'd like to learn about or see a strategy for, don't hesitate to ask.